Don't just listen to music while you bathe! It is time to experience it! To feel the motion of it! This sensation is made possible by the iBath system. 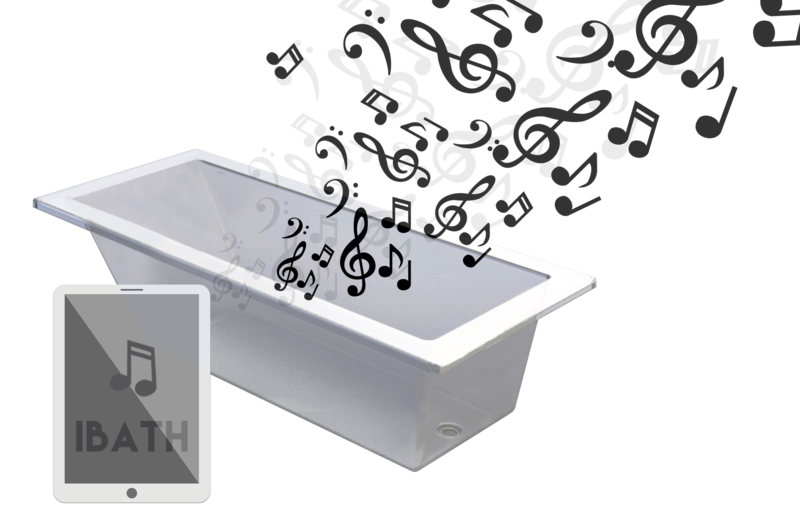 With speakers integrated into the internal structure of the bathtub, the entire form becomes a booming sound system for you to enjoy. Through Bluetooth technology, you can now sync your favorite devices such as: MP3 players, tablets, and mobile phones to listen to audio books, music and more. It is time to try a new form of entertainment while bathing in the 21st Century.